Web 2.0 offers many cost-effective ways of promoting your website and YouTube is no different. And that’s just one part of YouTubing. It is also one of the most fun ways of promoting your website. There is music, there is video, there is creativity, and there is marketing. A terrific mix, isn’t it? YouTubing is not going to sell your product. What it can do, however, is get people interested in your services. How? Let’s take a look. If [p2p type=”slug” value=”how-to-optimize-and-promote-your-youtube-channel”]you are new to YouTube[/p2p], this should be your first step. It’s a fascinating world out there. Plunge right in and look around a bit. Look at the kind of videos others have made. You’ll find some of your favorite music videos, movie scenes, vintage videos, personal videos, documentaries, and of course, a glut of marketing videos. If you find something in your niche, make a note of it. When you make your own video, you’ll need to come up with something different from your competitors. That’s what you’re there for. Grab a video recording device – your camcorder, digital camera, webcam, or your cell phone, and get started. Like anything else, you won’t get it right the very first time. If you look at your first video and feel like pulling your hair out, remember that you’re not alone. Making a video is much easier in your mind than in practice. Over a period of time, you’ll get better at it. Which brings me to another point; just one video won’t win it for you. Once you’ve uploaded your first video, start working on the second video and then the third. Yes it’s not easy but it’s much easier than some of the other marketing techniques. This will also give you an opportunity to experiment with a variety of techniques. Some may flop miserably while some may enjoy wide popularity and may turn into a rewarding viral distribution. YouTube is free but viewership has to be earned. So here is humble advice. Do not make videos that take forever to load. People have other things on their mind. And a site like YouTube has many choices for them to pick from. A study on video-sharing websites suggests that a video works best when it is under 5 minutes in length. So even though YouTube allows you a maximum of 10 minutes, keep it under 5 minutes. Before you upload your video, ensure that the file format is accepted. YouTube accepts .WMV, .AVI, .MOV and .MPG formats. I’ll say this a hundred times over – [p2p type=”slug” value=”three-youtube-tips-youve-never-thought-about”]YouTube is not your marketing collateral[/p2p]. DO NOT sell your product on YouTube. Use it wisely to get people interested. Once they start flocking to your website, you can sell all you want. The minute you start boring them with your ‘Buy Me’ messages, they’ll turn the other way. The best way is to come up with something entertaining that the viewer would want to sit through. When you have six interesting videos on something, the viewer will surely want to know you. That’s when your marketing begins. You’ve made a great video and you’re getting a lot of comments. All of it will count for nothing if it doesn’t result in increased traffic to your website. So add that all-important URL with your video. You may add one before the video and one after the video. Add your URL to your YouTube profile as well. Whoever said you need your own videos to attract traffic? If you don’t want to spend time creating a video, approach a popular YouTube user. Offer them a payment for displaying your link on their videos. That’s encouragement for them to come up with interesting videos and a marketing platform for you without sweating too much. This may not seem relevant at first but it will surely help you get popular. Put up a bunch of hit YouTube videos on the other social networking profiles that you use. A few examples are Digg, De.li.cious, Orkut, and Reddit. That will make your profile attractive and help in getting new contacts. If you want others to visit your profile on YouTube, start with visiting their profiles. Browse through videos, add comments for their videos. Don’t spam their profiles. Offer genuine comments and try to initiate a dialogue. If you have uploaded your own video, get your friends and family members to view it and rate it. Nothing works like a five star rating. Ask them to chip in with a few good comments as well. The biggest mistake is to assume that uploading a video is the end of it. It needs a lot of promotion to make your video visible. Now this one is the most obvious idea. Use appropriate and relevant tags for your video. You wouldn’t want a person to miss out on your video if he or she is looking for something similar. What you’ve read above are just a few ideas you can use to drive traffic to website by using your YouTube profile. You’ll find more as you go along. As you see other users, you’ll pick up a few interesting tactics. The bottom line – be innovative, be observant and be smart. Great article! 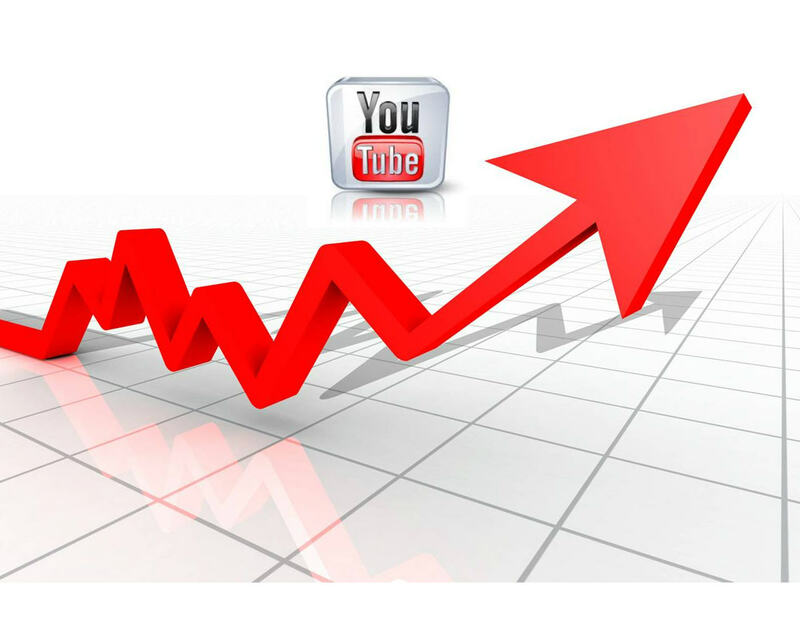 YouTube can really generate traffic as long as you offer compelling content.